This classic teardrop earring is perfect for the bride, bridesmaids or mother of the bride! 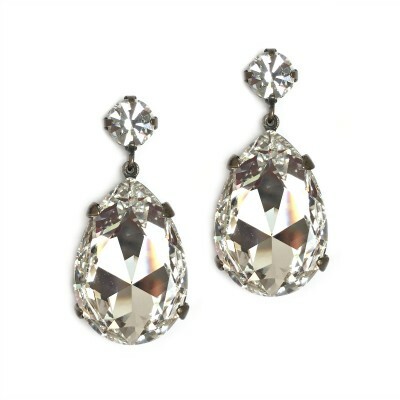 Featuring genuine Swarovski Crystal this earring boasts a beautiful sparkle with an old-world feel. Set in Antique-Bronze. 2.3cms Total Length Comes with luxury gift-packaging ..
Our best-selling Swarovski Crystal teardrop earring is a bold statement earring Adds an amazing dose of bright sparkle to any special occasion outfit. 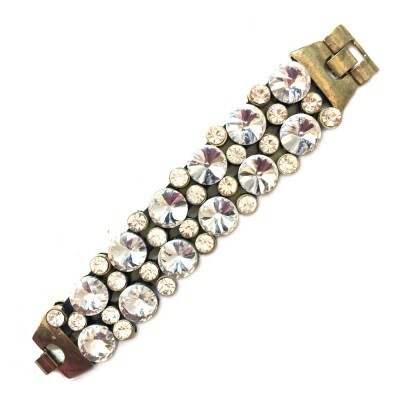 Features genuine Swarovski Crystal that throws bright light all around the face and looks spectacular for evening. A&n..
Our best-selling Swarovski Crystal teardrop earring is a bold statement earring Adds an amazing dose of bright sparkle to any special occasion outfit. Features genuine Swarovski Crystal that throws bright light all around the face and looks spectacular for ..
Ultra-practical, super-pretty, versatile, the Mirabelle earring by Glamadonna deserves a place in everybody's jewellery box! 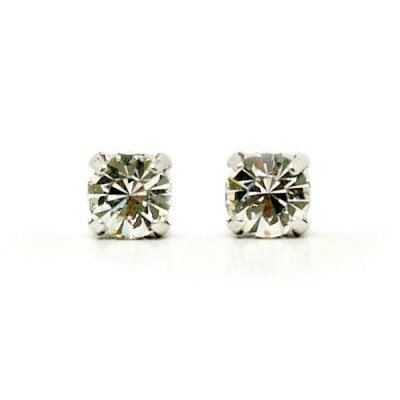 Featuring genuine Swarovski Crystal, this simple stud earring works for daywear, date night, weekends and weddings. An affordable and thoughtful gift for your bridesma.. 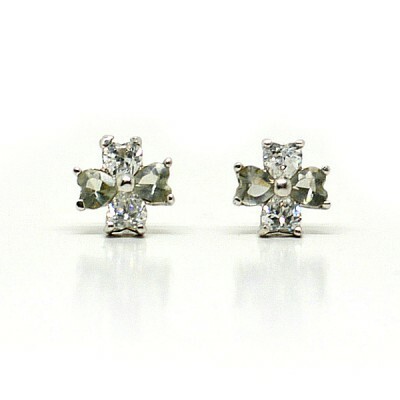 This is dainty everyday earring made out of Sterling Silver and two shades of cubic zirconia stones. A flower / clover design where two of the petals are clear white stones, and the other two are a light smokey grey. You can wear this earring everyday, and it is a v..
A beautiful Swarovski Crystal earring featuring a "milky" white stone. This subtle sparkle has an old-world feel, whilst still looking fresh and bright. Perfect for day wear, date night and bridesmaids, this versatile earring is also suitable for day wear and will never go out of .. 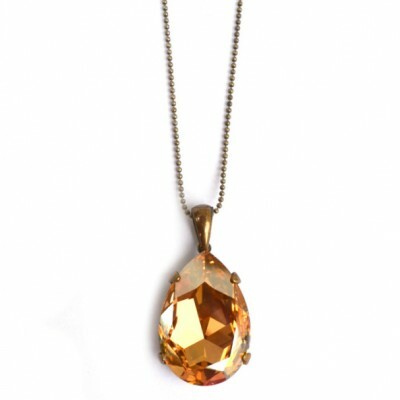 This genuine Swarovski Crystal necklace is the perfect finishing touch to your special occasion outfit. 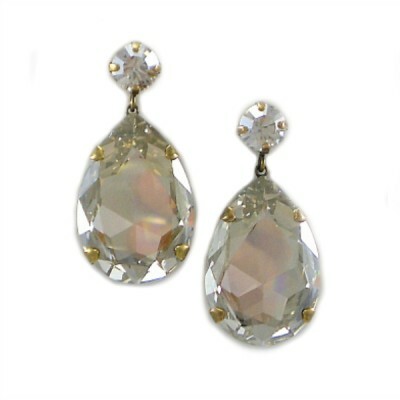 Featuring a sparkling Swarovski Crystal stone in champagne colour. Set into an antique bronze metal setting with delicate ball-chain Matching earrings available.. 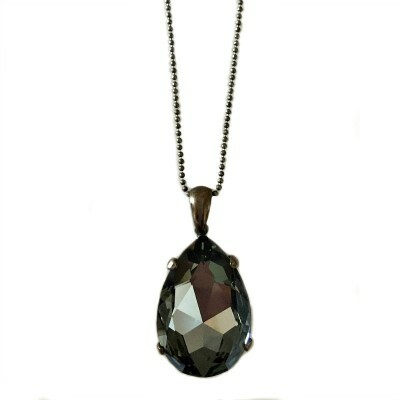 This genuine Swarovski Crystal necklace is the perfect finishing touch to your special occasion outfit. 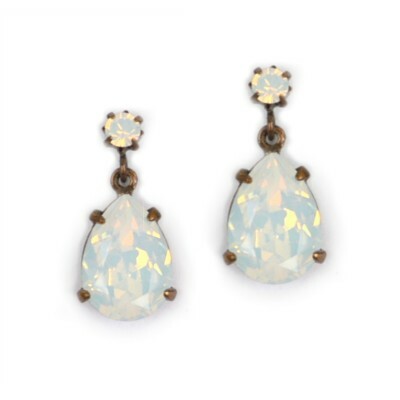 Featuring a sparkling Swarovski Crystal stone in a smokey grey tone Set into an antique bronze metal setting with delicate ball-chain Matching earrings availabl.. The Harlequin bridal cuff is a stunning option for boho-inspired bridal looks and other special occasions. Featuring super-sparkly Swarovski Crystals threaded into rows which are finished off with antique bronze fastenings at each end. A versatile and unique piece you can wear long after ..
Swarovski Crystal jewellery is a dazzling and spectacular choice for any occasion, especially weddings. Faceted to perfection, Swarovski Crystal jewellery enhances and enchants. Whether utilising bright, white stones, or any of the amazingly coloured Swarovski crystals, you can be guaranteed that the jewellery will be spectacular. 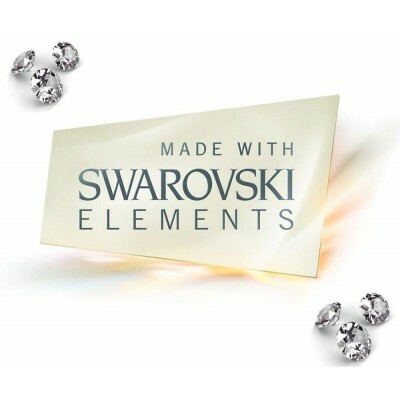 Shop our pages for a collection of Swarovski Crystal jewellery that includes everyday and bridal earrings, special occasion bracelets and bridal headpieces. These designs are timeless and versatile, they are pieces that you can wear again and again whenever the need arises.